Traditional Scottish dishes are nourishing and filling with distinctive qualities that are associated with this bonnie land. Usually, simply cooked and with an absence of spices from abroad (too expensive in the past) – these basic dishes gave the Scots the energy and strength they needed to live and survive in this naturally rugged country. 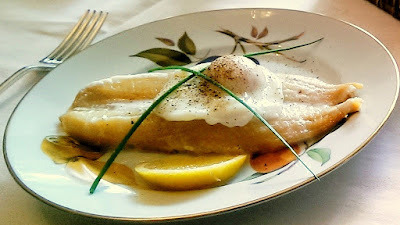 During your visit to Scotland, do sample some of our traditional dishes – a Scottish breakfast during your stay at one Scotland’s Best B&B’s; a lunch at one of the small cafes of 'chippies' (Fish and Chip Shops) found in most of our towns and cities; a dinner at one of the fine restaurants that Scotland has a plethora (plenty) of! Forfar Bridies - Named after Maggie Bridie, a traveling food seller in the county of Angus, previously known as Forfarshire – hence the name. Usually made of beef, which is crimped into a flaky pastry case and folded over like a pasty. Scotch pies - These pastry pies are filled with minced meat and covered with a pasty lid that sits around ½ inch below the rim, leaving a space at the top that can be filled, if wanted, with a bit of gravy, baked beans and mashed potatoes. 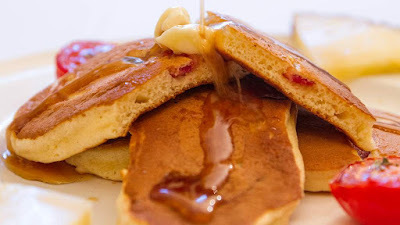 Dropped scones - Dropped scones, (also called Scotch pancakes) are a flat, round cake similar to an American pancake only smaller (usually about 9cm in diameter). Their name comes from the traditional method of ‘dropping’ the batter on to a girdle (griddle) to cook. You will often find them on the menu for breakfast where they are freshly made by your host. Clootie dumpling - This fruit pudding is traditionally made in “clootie” or cloth for the festive season. Leftovers are fried in a wee bit of butter to re-heat. 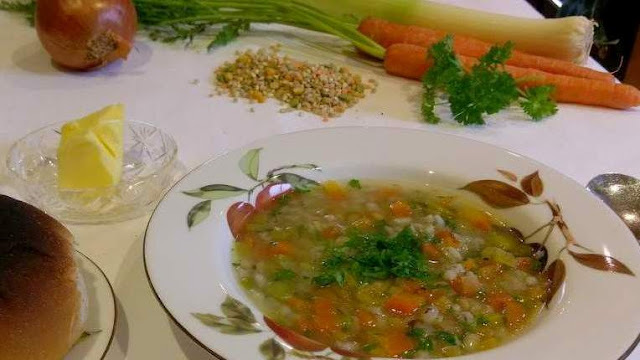 Scotch Broth - Soup made from barley, carrots, garden peas, leeks, cabbage, turnip and sometimes even celery, in a vegetable stock. Nowadays you can buy a Scotch Broth mix which contains dried barley, lentils, green split peas and red split lentils....soak overnight and add your vegetables. 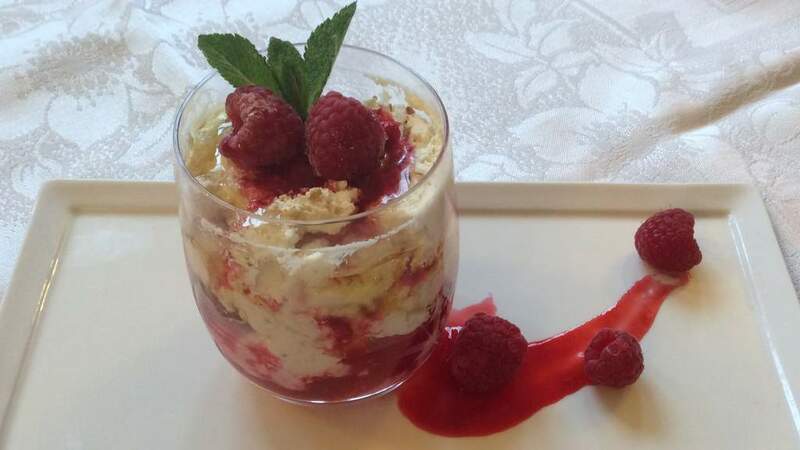 Cranachan (or Cream-crowdie) - Originally a summer dish, eaten around harvest time, this is a traditional Scottish dessert made from a mixture of whipped cream, honey and fresh raspberries topped with toasted oatmeal. Rumbledethumps -This is the Scottish version of Bubble and Squeak. Cook chopped cabbage and then cook potatoes in the SAME water with cabbage removed. 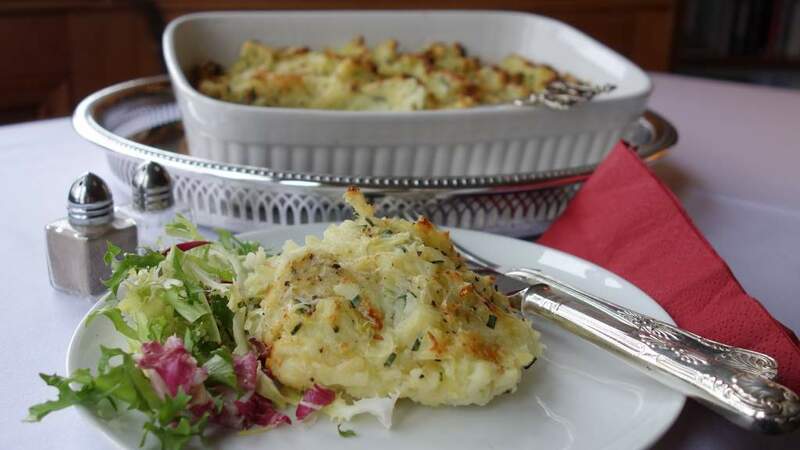 Mash the potatoes when cooked with salt, pepper and chopped chives and then mix in the cabbage and generous helping of grated Scottish Cheddar. Put in an ovenproof dish, sprinkled with more cheese and cook till golden on top. You can serve Rumbledethumps as an accompaniment to any dish. Skirlie- Often used as a side-dish or as a stuffing for chicken or tomatoes, Skirlie (or ‘mealie pudding’) is made from oatmeal fried in beef dripping with onions and seasonings. High in amino acids and essential fats, the humble Skirlie is now being hailed as a ‘superfood! Cullen Skink - This thick soup, originally from the town of Cullen in Moray, is made of smoked haddock, potatoes, onions and milk or cream. 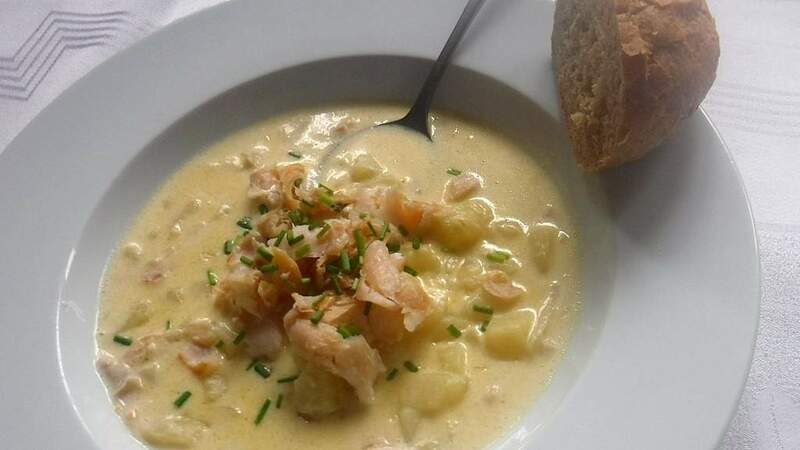 Cullen Skink is often served as the soup course at formal Scottish dinners. Oatcakes (or bannocks) - These are similar to crackers or biscuits and are often eaten with cheese. These biscuits are made with barley and oat flour and baked on a griddle. 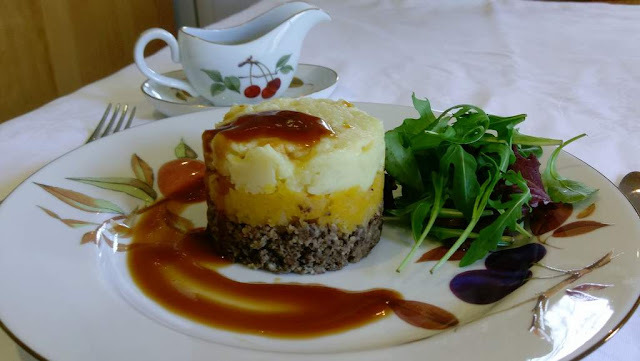 Haggis - The best known of all Scottish foods – haggis is a delicious dish. Some can be put off by the ingredients which is sheep’s offal (heart, lung and liver) boiled, minced and mixed with beef suet, oatmeal, onions and spices. Traditionally this mixture was placed inside a sheep’s stomach and sewn closed but nowadays sausage skin is more commonly used. Stovies - A potato based dish, designed to use up leftover meat and vegetables. It involves frying onions and adding pieces of meat and left over vegetables along with cubed potatoes and water and leaving to cook. Stovies have the consistency of chunky mashed potatoes. Tablet - In Scotland ‘Tablet’ isn’t a hand held computer or a pill – it’s a sweet made from sugar, butter and condensed milk, boiled to soft ball consistency and then allowed to crystallise. 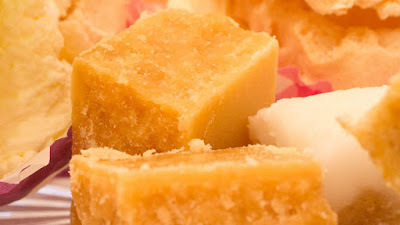 It usually has a grainy texture, not as soft as fudge but not as hard as a boiled sweet. Arbroath smokie - This is haddock that has been wood smoked in one of the small family smokehouses in the East Coast fishing port of Arbroath. Black Bun - This very rich, spicy fruitcake takes its name from its very dark colour. Originally eaten on Twelfth night it is now eaten as part of Hogmanay celebrations. The black part of the bun is made up of ingredients similar to a Christmas pudding, including raisins, currants, almonds, citrus peel, allspice, ginger and unusually-black pepper...then it is all wrapped in a pastry. 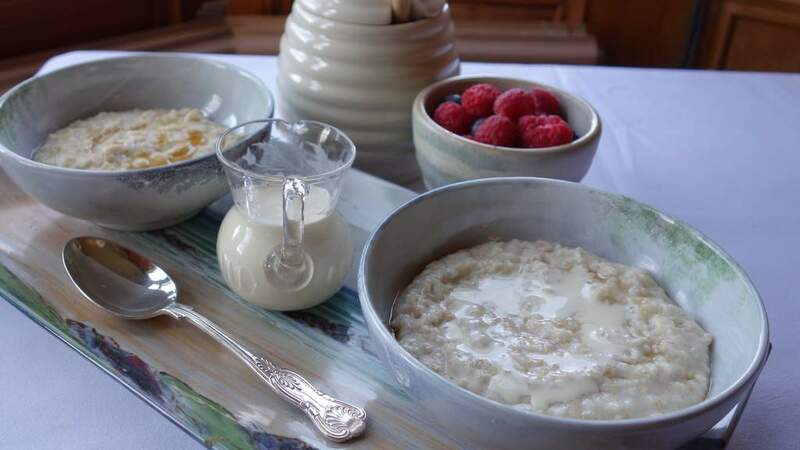 Porridge - Traditionally crofters in the Highlands would make a pot of porridge at the start of the week and once cooled. cut it into slices, which could be eaten for lunch during the week. Today it is more commonly eaten as a healthy breakfast. Made from boiled oatmeal with a pinch of salt - porridge should be cooked slowly and stirred continuously with a 'spirtle', a wooden spoon about 12 inches long. 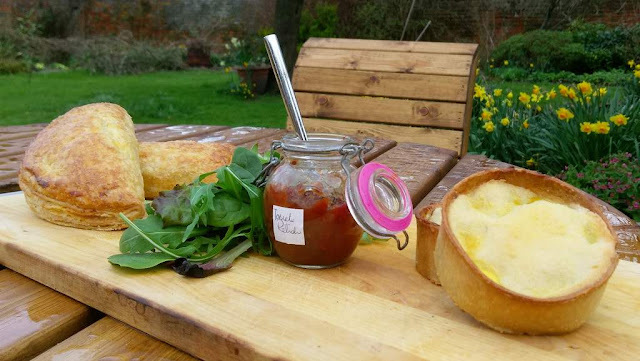 We hope this wee soupcon of our unique traditional dishes will encourage you to sample all of the foods our wonderful country has to offer. Scotland has long been recognised as having one of the best natural larders in the world – enjoy! Scotland’s Best Bed and Breakfast Recipe for a Successful Vacation. Attention to detail and a passion for hospitality mixed with a desire to make your stay one of warmth and friendship with a level of service and comfort only available in a smaller establishment. A truly memorable stay in a Scottish home of character and ambiance.